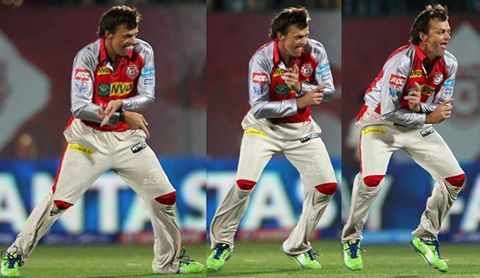 Very 1st ball , its a wicket :) ..
Gilly does the Gangnam! Rather the half Gangnam, charges off, leaps, you should have seen him celebrate! 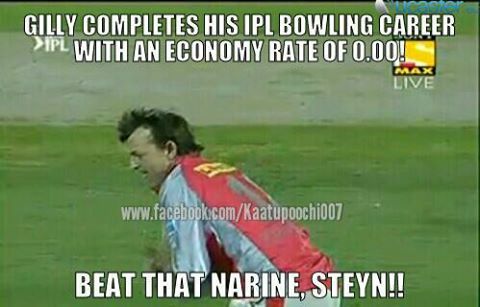 He will take Harbhajan's case forever you reckon. Gilchrist does a lap around the ground. It's not Kings XI's main home ground - it's Mohali, but the crowd loves him nevertheless. The whole team joins him.